The first workers' district in Rotterdam built in accordance with the garden city concept owes its existence to De Gelder, director of what was then the Rotterdam Dockyard Company. Wedged between the Waalhaven and Heysehaven basins, Heijplaat was set up to house skilled dock workers near the shipyard. The first phase of building produced 400 houses, two churches, a community centre with shops, two schools, a library, a wash- and bathhouse and an after-work centre including a café and a theatre. After only a few years the district was expanded to the south. A further extension followed in the 1950s. 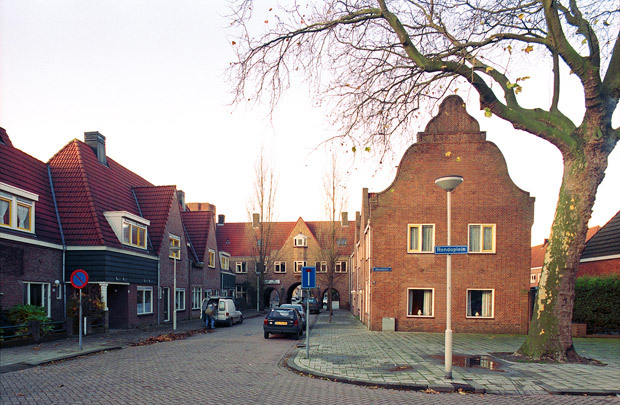 Local protest at a proposal to demolish Heijplaat led to wholesale renovation in the 1980s.